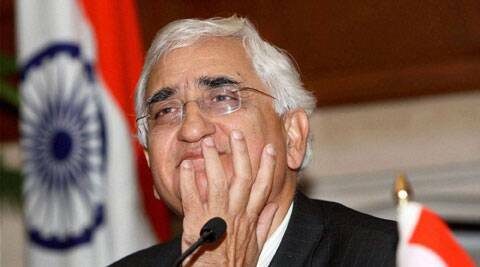 Khurshid claimed that Sushma Swaraj and LK Advani made comments against Modi on social networking site Twitter. Khurshid said how can the Gujarat chief minister keep the people of the country satisfied when his seniors in the party are not satisfied and making comments against him. Launching a fresh attack on Narendra Modi, Union minister Salman Khurshid on Saturday said how can the Gujarat chief minister keep the people of the country satisfied when his seniors in the party are not satisfied and”making comments against him”. “Sushma Swaraj and LK Advani’s tweets are against Modi… when he cannot keep his senior leaders satisfied how will he succeed in satisfying the people of the country,” Khurshid, who arrived here on a three-day visit to his parliamentary constituency, said. The Union minister said that Modi is talking about Congress free country and so is advocating a country without opposition which is “most dangerous” for the country. “It is wrong to say that Gujarat has BJP government as the reality is that it has Modi’s government like it is not the party (BJP) but Modi who is contesting the elections in its place,” he said.